Caring for your children’s teeth and teaching them the basics of oral hygiene at an early age will go a long way in ensuring that dental problems in later years are minimized. While your dentist is the best person to tell you what you need to do, here are a few general basics that you can adopt. Brush the teeth twice a day with an American Dental Association (ADA) accepted fluoride toothpaste. Take care that the child does not swallow the toothpaste. Use a soft bristled brush and start brushing with the inner surfaces of the teeth, where plaque typically accumulates. Use a back and forth motion. Next brush the outer surfaces of the teeth, angling the brush along the gum line. Once again, use a back and forth motion. Then go on to the chewing surfaces of the teeth. The next step is to use the tip of the brush to clean behind the front teeth at the top and bottom. Finally, brush the tongue – this is where a lot of germs collect. Flossing is very important as it removes the plaque and food particles that brushing cannot. You can start flossing your children’s teeth when they are 4. By the age of 8 they should be able to floss on their own. Talk to your dentist about the use of dental sealants. These are thin plastic coatings that are applied to the chewing surfaces of a child’s permanent back teeth. This is where cavities commonly develop. The sealant forms an effective barrier against this. It is not a painful process and causes the child no discomfort. It is usually completed in one sitting. Fluoride is a naturally occurring mineral that combines with tooth enamel to give it added strength and is an important ingredient in tooth health. Many municipal water supplies contain added fluoride and if this is the case, your child should be consuming enough of it. If you are not sure, call your water district and ask them. If the water does not contain fluoride or if the quantity added is inadequate, consult your dentist about the need for using fluoride drops or mouthwash to ensure your child is getting enough. What your child eats contribute a great deal to the health of the teeth and gums. Besides the required amounts of vitamins, minerals and nutrients, the diet should include lots of calcium and phosphorous. The starches and sugars that many snack foods contain are among the biggest enemies of strong teeth as they combine with any plaque that may be present to create acids. These acids eat away at the tooth enamel and lead to the development of cavities. Controlling your child’s intake of snacks and junk food will go a long way to ensuring healthy teeth. If your child suffers any mouth injury contact your dentist as soon as possible. Once the injury has been examined and any damage assessed, the appropriate treatment can be given. The sooner this is done the better. Helping your children care for their teeth is not enough, no matter how good they are at it. 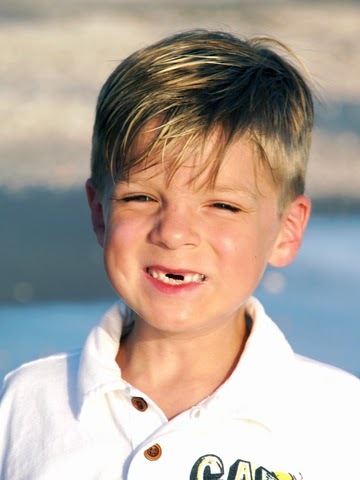 If adults can so easily overlook or ignore dental issues until the problem becomes serious, think how much easier it is for children to do so. Regular visits to the dentist for checkups or when a problem is suspected will go a long way in ensuring that your children have strong and healthy teeth and gums. The fact that the parents place so much importance on oral health will impress upon them, at a young age, that it is something they cannot afford to ignore.